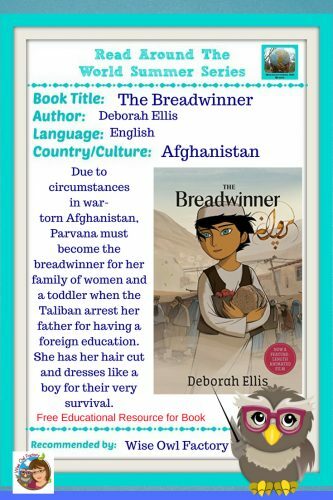 The Breadwinner, also known as Parvana, is a children’s novel by Deborah Ellis. It was first published in 2000, and by 2013 there were 39 English editions. The book has received several literary awards, including the Peter Pan Prize. Parvana has to live like a boy although with her family due to circumstances in war-torn Afghanistan. Taliban soldiers enter her house and arrest her father for having a foreign education. 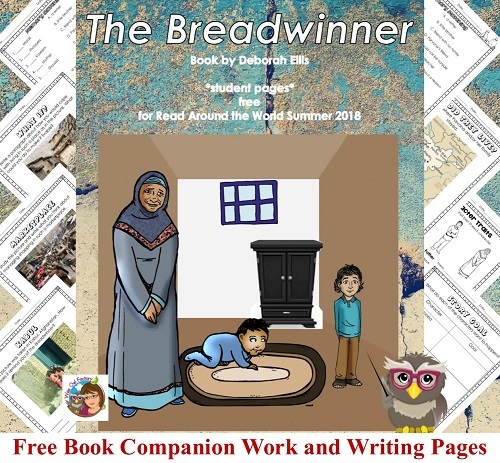 Since she lived in a house full of females and a toddler boy, and looked the least like a woman as she was 11 years old at the time, she became the breadwinner. Only a man or boy could shop for bread and food in Afghanistan at that time. Because she used to help her father sell used goods in the market, she continued his work. Her father also read letters aloud to illiterate Taliban soldiers, another service she then provided. Any money earned helped buy food for the family. 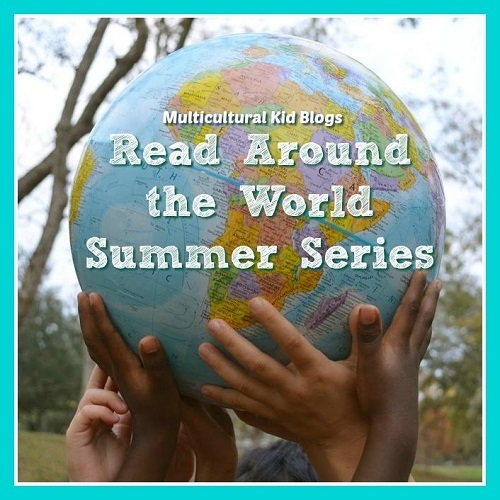 I am writing this post as part of the annual MKB Read Around the World Summer Reading Series. The multicultural location I have chosen to visit is Afghanistan. The author spent several months interviewing women and girls in refugee camps in Pakistan, and used these interviews as the basis of her novels. The stories are based on true facts. It is difficult for some of us to believe what some children have to endure in life. The stories are historical fiction and contain no false information. Parvana meets with Mrs. Weera, a former physical education teacher, who comes to stay with Parvana’s family to help Parvana’s depressed mother and take charge of the household. Eventually, Parvana’s mother begins to feel better and joins Mrs. Weera and a group of women to write the Afghanistan National Magazine, smuggling it to and from Pakistan so it can be published. Parvana and her older sister Nooria have sibling friction at first. When Norria announces she is leaving to be married, she also takes her mother and younger siblings. Parvana has to stay behind and live with the neighbor who moved in when their mother was very depressed. The neighbor’a name is Mrs. Weera, and her small grandson lives with her. They remain in Kabul. Parvana meets one girl from her former school also dressed as a boy and they work together, although some of the work is very unpleasant. Parvana’s father returns home but he is sick. After nursing him to health with Mrs. Weera, Parvana and her father leave hidden in the back of a truck to try to find the rest of the family in a refugee camp in Mazar. It seemed profoundly sad to me that children have such difficult experiences in life. The Breadwinner was adapted into an animated film released in 2017. The author has study guides for this and her other novels at this link. This is my book companion and writing pages free educational resource. Click on the next link for an instant download. 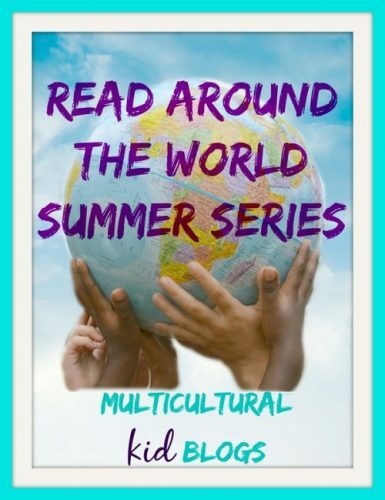 You might also like my post from this event last summer, such as the book review and free printable work pages for the book A Single Shard by Linda Sue Park. 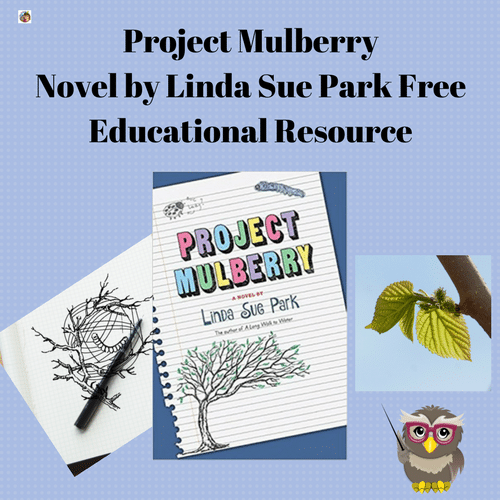 Or my post about another of Linda Sue Park’s novels, Project Mulberry. This post also has a free educational resource for teachers.